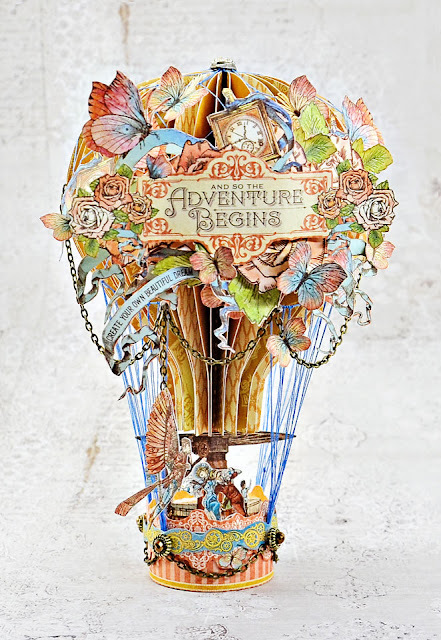 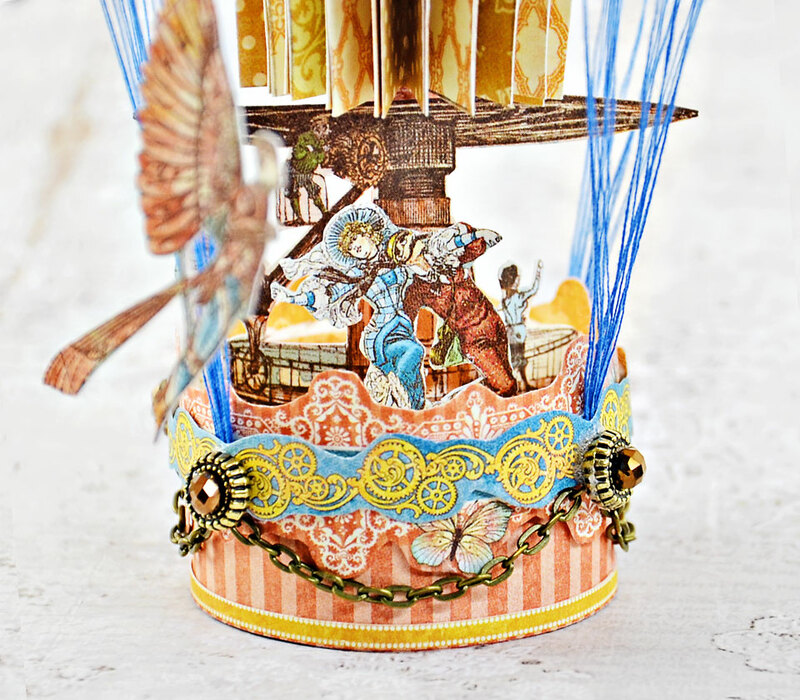 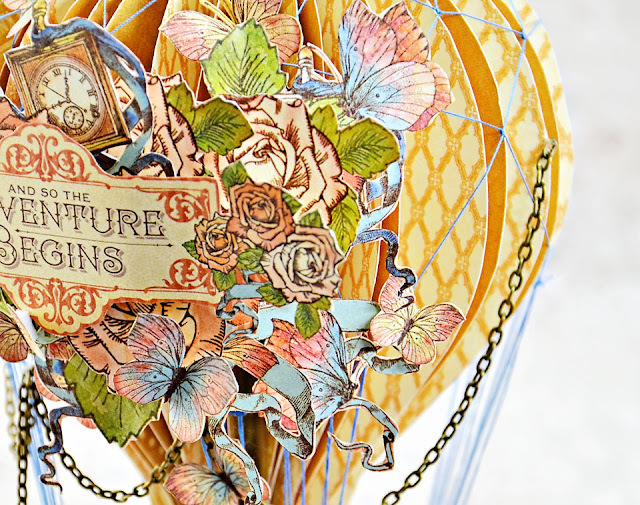 Dropping by today to share a Hot Air Balloon I created using the gorgeous Graphic 45 Imagine collection. 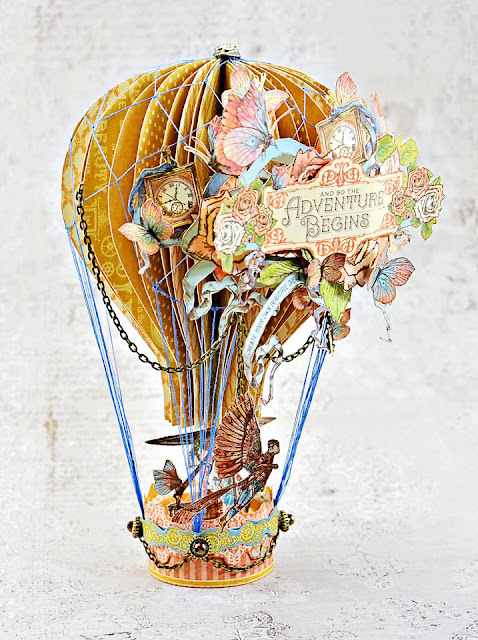 I have a love affair with hot air balloons and I just love to create different and unique ones from my favourite papers. The Imagine collection is full of hot air balloons and was perfect to create mine. 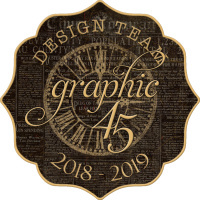 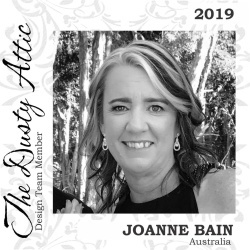 This month Graphic 45 have a challenge for #OffThePage so I thought I would join in. 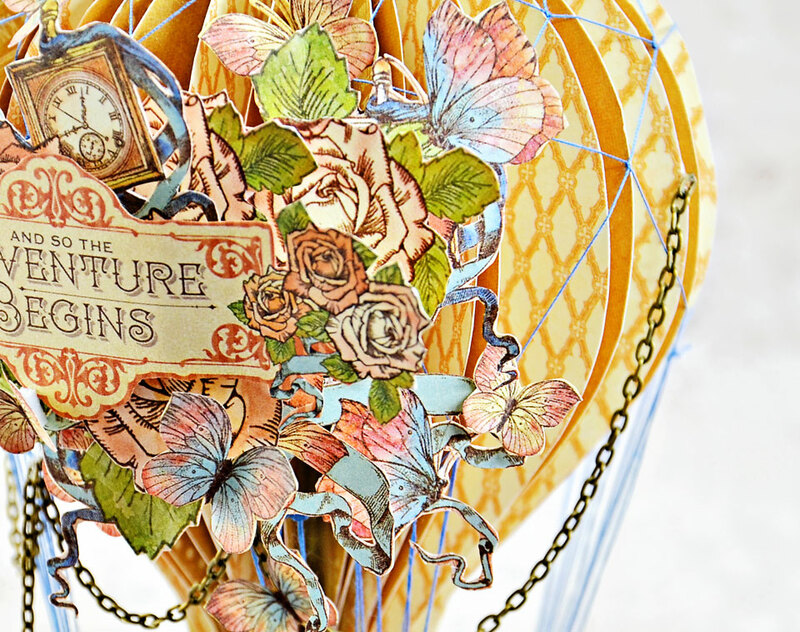 Inspiration was drawn from the collection. The balloon and basket were made entirely from scratch by me. 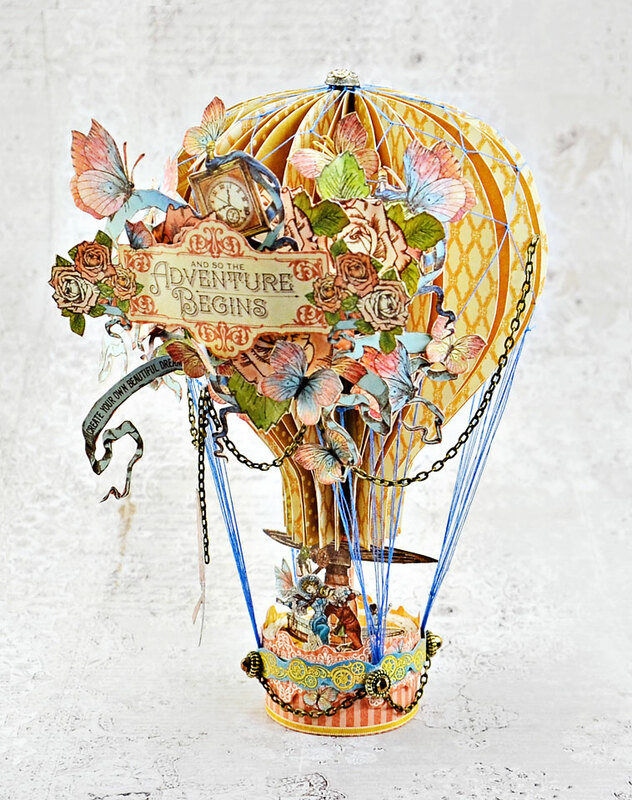 Once the base of the balloon was created I started to embellish with fussy cut elements from the collection. 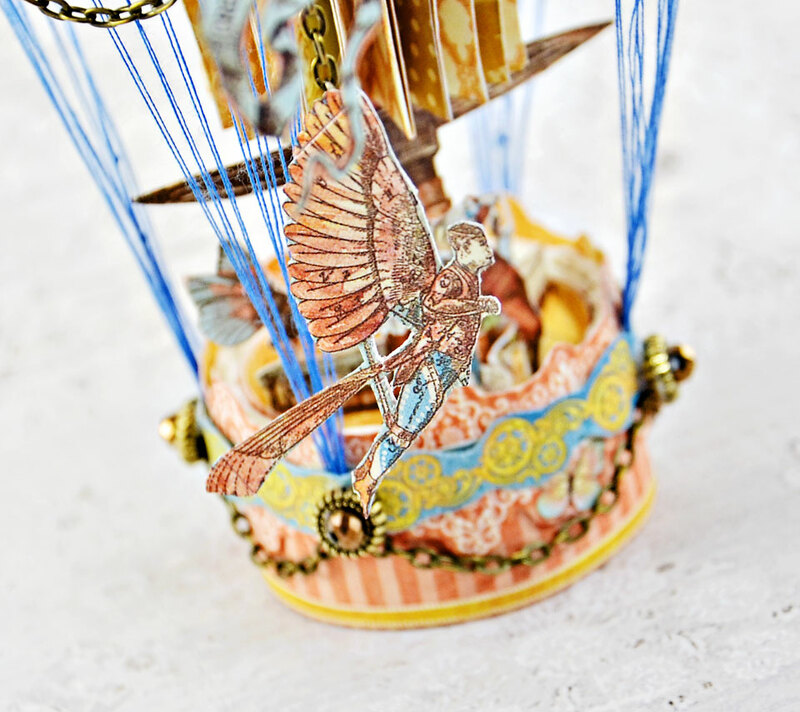 I used a contrasting cotton thread to create the netting for the balloon and also the balloon tie downs to the basket. I believe a great project is all in the details. 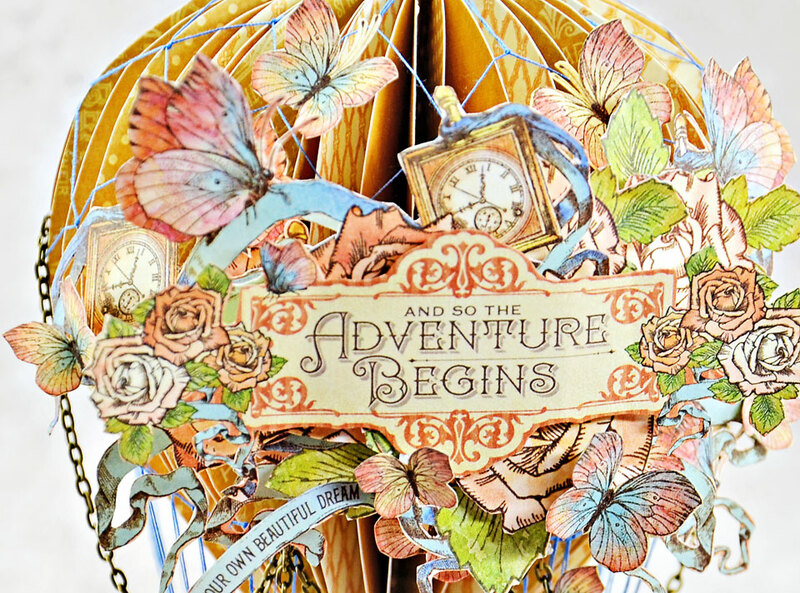 Lots of fussy cut details and dimension. I added chains and a little bit of bling to both the balloon and the basket.